Bonsai is the Japanese art of growing miniature, or ornamental-shaped trees or shrubs in small, shallow pots. The literal translation of bonsai is “tray planting” (bon – pot; sai – planting). 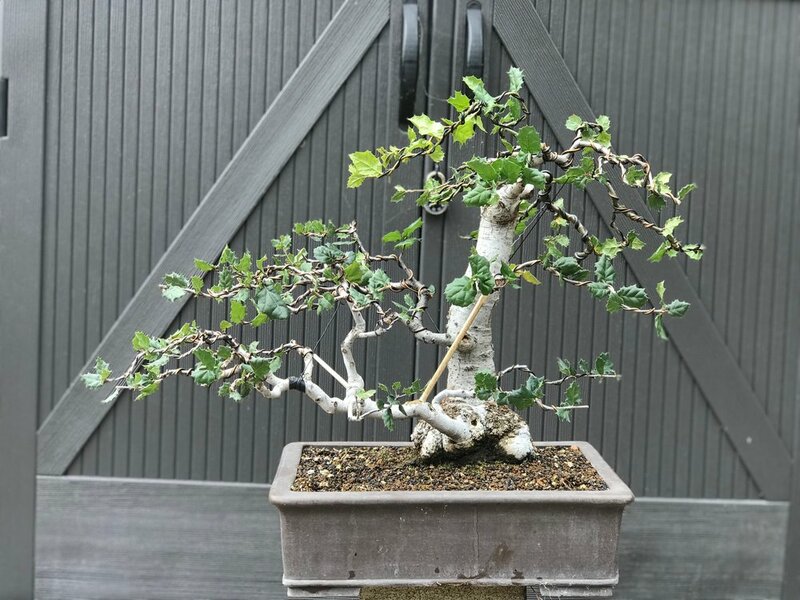 A common misconception is that bonsai specimens are hereditary dwarfs; however, they are in fact, ordinary trees and shrubs. They are ‘dwarfed’ by a system of pruning roots and branches, and training branches by tying them with wire. The art originated in China but has been pursued and developed primarily by the Japanese. 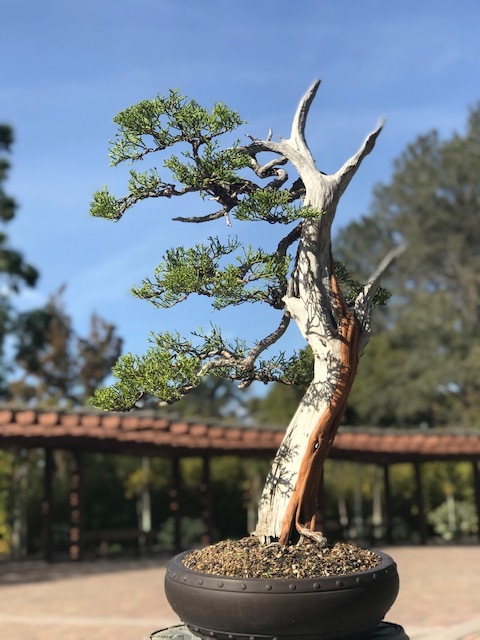 The direct inspiration for bonsai is found in nature – in trees that grow in harsh, rocky places that are dwarfed and gnarled throughout their existence. Prized characteristics are an aged-looking trunk and branches, and weathered-looking exposed upper roots. Bonsai may live for a century or more and are handed down from one generation to another as valued family possessions. Bonsai pots, usually earthenware and of variable shape, are carefully chosen to harmonize in color and proportion with the tree. A sizable bonsai industry exists as part of the nursery industry in Japan; California is home to a small-scale bonsai industry. 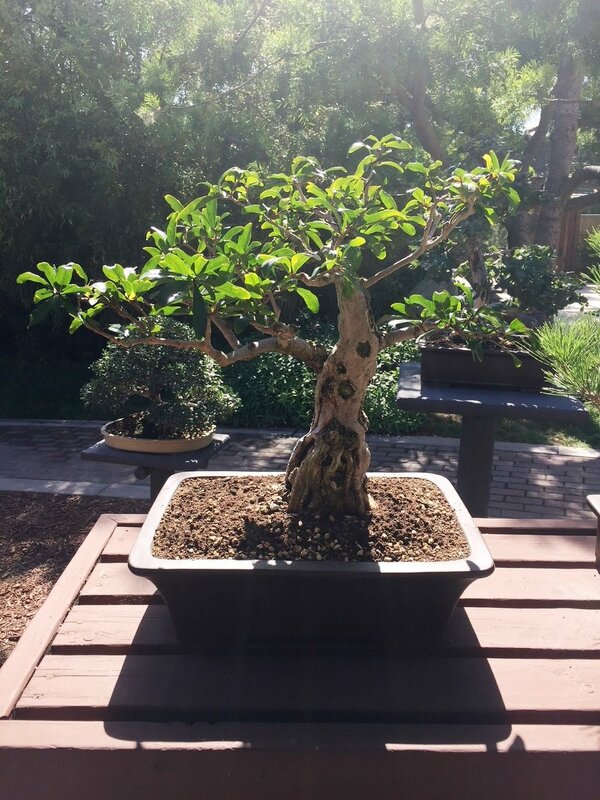 The San Diego Bonsai Club takes care of our wonderful collection on a weekly basis. 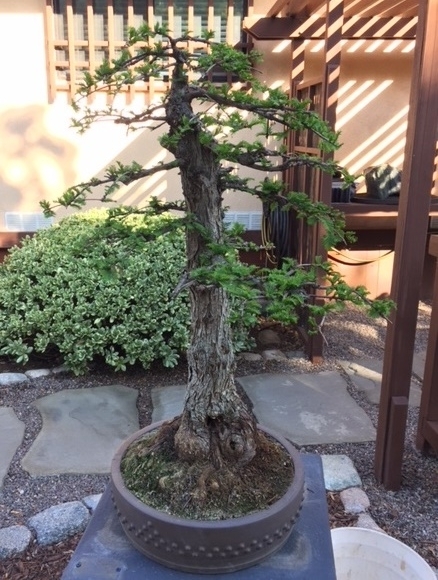 To learn more about the SDBC visit their website at sandiegobonsaiclub.com and/or stop by JFG on Wednesdays where you’ll find club members pruning our bonsai under the Wisteria Arbor near the office. Learn more about each item in our collection by clicking on a picture!